At Back Up, every decision we make about how we work is underpinned by research and a set of guiding principles. They are the starting point from which all our services develop. This nearly always begins by consulting the people we support, as well as our staff and volunteers, to find out what services to offer. 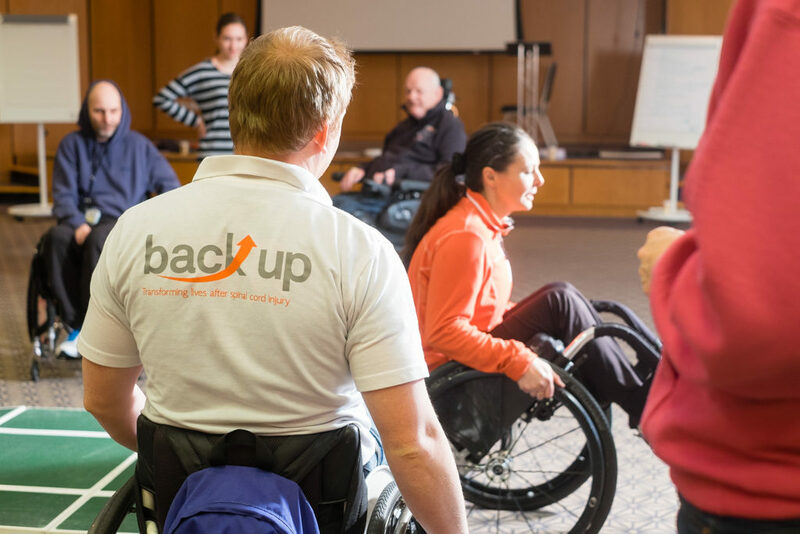 At Back Up, we know that people affected by spinal cord injury are best placed to know what they need and to support others in a similar situation. We undertake research too, as it invariably helps us to better understand how people can adapt to life with a spinal cord injury. Finally, we always ensure that every single decision we make is led by the needs of the people we support. In this section, you can learn more about all these principles and the clinical evidence that supports our work. You can also find out about how we work in partnership with other organisations, the ways we safeguard the people we support, and how Back Up influences others to improve the lives of people affected by spinal cord injury. If you would like to find out more about how we develop our services, please contact our Heads of Services, Andy and Polly, by email or call them on 020 8875 1805.